Various things can irritate the skin and produce skin rashes, including a severe reaction to a medication, harsh chemicals, allergens and dust; ultraviolet rays, and bacteria, fungi or viruses. 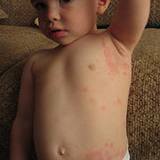 An itchy rash can also arise from a buildup of toxins in the body. These toxins are secreted by the sebaceous and sweat glands, causing symptoms like; redness and blisters, pustules, itching, scales or other signs of inflammation. The skin consists of three principal layers. The thin outermost layer is the epidermis. The layer below this is the dermis, which contains sweat glands for cooling and sebaceous glands for producing oil. The deepest layer, or subcutaneous layer, is comprised mainly of fat and connective tissue and includes important immune-system substances. If a rash is visible on the skin's surface, there will be accumulations of fluids, white blood cells or other substances in the deeper layers of skin as well. Read Grandma's Home Remedy for Psoriasis if you are suffering from this skin disorder. Barley water can help alleviate skin inflammations. To make it, boil 3 ½ ounces of barley in 1 quart of water for 15 minutes. Strain the liquid and allow it to cool. Soak cotton balls in the barley water and carefully dab the liquid into the affected areas. Vitamins A, B, and E, as well as zinc, selenium and potassium, can all help to relieve skin inflammations. Calcium may also be beneficial, especially if the irritations are caused by allergies. Silicon speeds the growth of new skin cells. For itchy skin due to eczema or other causes, try an oatmeal bath. Place a pound of oatmeal in fine-gauze netting and let it soak in the warm bathwater for half an hour. Then use the oatmeal pack as a soothing sponge during your bath. Or, sprinkle colloidal oatmeal-finely ground oatmeal sold at many pharmacies, into your bathwater. Oatmeal can be slippery, so take care when getting in or out of the tub. To prolong the effects, allow your skin to air dry. 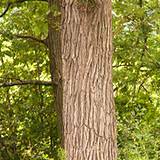 Oak back, an anti-inflammatory, contains a high proportion of the astringent tannins, which is particularly well tolerated by the skin. Soak compresses in oak-bark tea, dab them lightly on affected areas and allow your skin to dry. Chamomile-tea compresses can be used to soothe inflamed skin. Chamomile also promotes wound healing. Wheat-grass juice helps heal skin inflammation. The chlorophyll in the juice accelerates the formation of new skin. The juice also offers protection against bacteria. Sprinkle the juice liberally on a gauze pad and apply the pad to the skin. Pour 1 cup of boiling water over 1 teaspoon each of malva flowers and white yarrow. Allow the tea to cool, and then pour it over a gauze compress; apply the compress to the skin to relieve eczema. The mucilage in the malva form a protective layer, and the yarrow acts as a pain-reliever and anti-inflammatory. Castor oil helps relieve burning itchy feet. Simply rub caster oil on the affected areas. Dissolve 2 drops of chamomile oil in ½ cup of rose water. Apply this mixture to inflamed areas 3 times daily with a cotton ball. Rose water soothes the skin while chamomile oil heals the inflammation. Some healers advocate autohemotherapy to alleviate allergic skin eruptions. 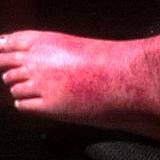 A small amount of blood is removed, mixed with an herbal or homeopathic remedy, and then believed to reset the immune system, enabling the body to respond normally to allergens once again so that the overstimulated skin can heal. Various remedies have been used to rid the body of toxins that may cause skin inflammation. One of these remedies, known as the Baunsheidt process, uses a specialized instrument to insert needles just under the skin's surface. At that point a skin-irritating oil is then applied, causing an artificial skin eruption that reportedly draws out toxins. Cleansing the intestine, with fasting or other natural remedies, is sometimes advocated to reduce the body's toxin load and ease skin eruptions. Use herbal teas of dandelion, burdock or Oregon grape roots.